The arch supports are ready to wear, with blue inserts in place to give you medium support. Place the supports in your shoes, smooth side up, so the heel cup fits snugly against the back of your shoe. How do I know which level of support is right for me? Try each pair of coloured inserts until you find the ones that provide the most comfort and support for you. Green insert for light support. Blue insert for medium support. Red insert for firm support. Adjusting the level of support. Remove the insert from the pocket in the side of each of the supports. Keep the spare inserts in the tray provided. Open up each pocket. With the flat surface facing down, adjust the new inserts in to place, until they fit snugly. 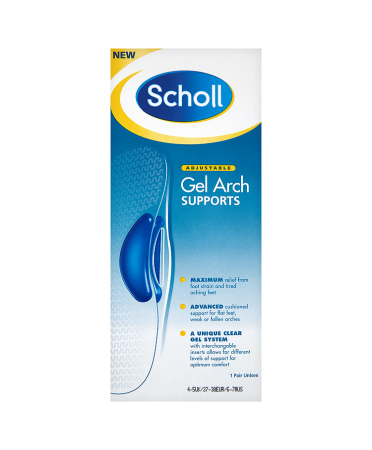 The gel will stretch and retain its shape. For best results & ease of use. Dust the supports lightly with powder (e.g. talcum powder) before use. Allow feet to adapt to the supports - gradually build up daily usage. 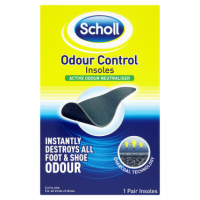 MAXIMUM relief from foot strain and tired aching feet. 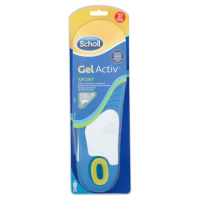 ADVANCED cushioned support for flat feet, weak or fallen arches. A UNIQUE CLEAR GEL SYSTEM with interchangable inserts allows for different levels of support for optimum comfort. 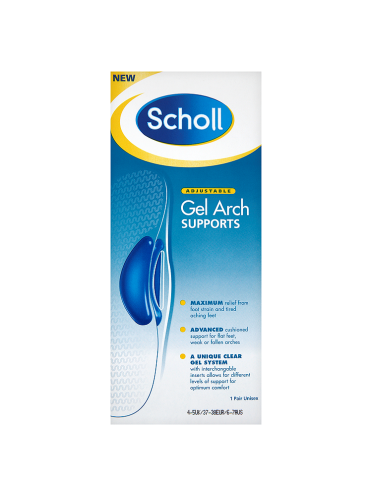 Scholl Gel Arch Supports provide maximum relief from foot strain and tired, aching feet. A unique, clear gel system with interchangeable gel inserts allows you to choose the appropriate level of support to suit you. 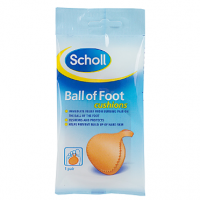 Giving optimum comfort for flat feet and weak or fallen longitudinal arches. 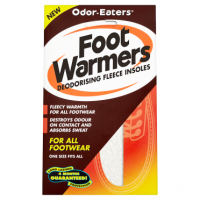 Smooth 3/4 length design fits shoes without crowding and allows toes to move freely. Non-slip grip to stay firmly in place. Light, medium or firm support shaped inserts. Shaped to cradle your heel.